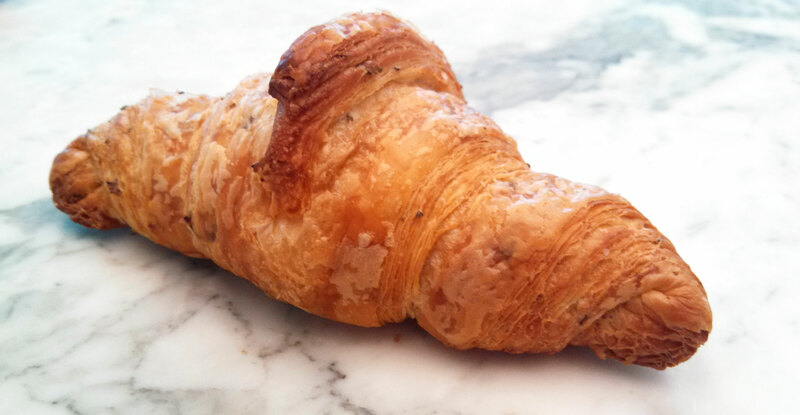 Rosemary Croissant or Tomato, Asiago, and Walnut Croissant? The votes have been counted, and customer feedback has been taken into account. We’d like to send a special shout out to all who helped us with taste testing and happily shared their opinions of which savory pastries we should keep around. Our Pasty Chef, John Legge, has definitely hit the mark in developing these savory pastries, resulting in two winners – more accurately, a tie between the Rosemary Croissant and the Tomato, Asiago, and Walnut Croissant! The Rosemary Croissant, boasts all the delicious qualities of our original croissant plus it pays homage to our popular Rosemary Diamante Bread with the inclusion of fresh rosemary and sea salt. Enjoy it on it’s own or make an egg breakfast sandwich or a turkey and cranberry lunch sandwich with it. 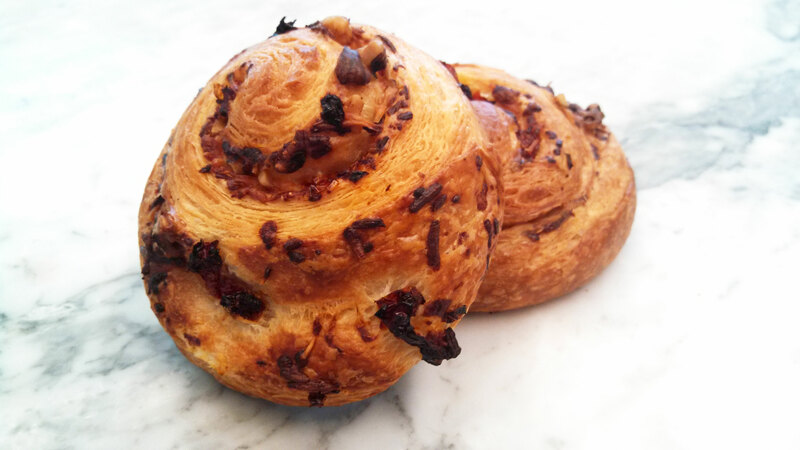 The Tomato, Asiago, and Walnut Croissant will not disappoint with our classic croissant dough rolled with sun dried tomatoes, walnuts and a blend of parmesan and asiago cheeses. Delicious by itself or slice and use like a roll for your favorite turkey sandwich. Visit us at one of our cafes in Wallingford, Madison Park, Georgetown and Bellevue to give them a try. To place a special or standing order contact the Order Desk at (206) 545-6773.
https://i0.wp.com/essentialbaking.com/wp-content/uploads/2014/09/RosemaryCrossaint-Banner-1.jpg?fit=1500%2C430&ssl=1 430 1500 Kendra https://essentialbaking.com/wp-content/uploads/2018/09/Logotipo_Essential-Baking-e1537914727842.jpg Kendra2013-09-12 22:52:582015-03-18 14:45:54Rosemary Croissant or Tomato, Asiago, and Walnut Croissant? Kosher Certified Artisan Organic Bread Ride Your Bike, Get A Deal!